Located 2800 to 3050 meters above sea level, the valley of Chhum is a historic and deeply loved area of Nepal. 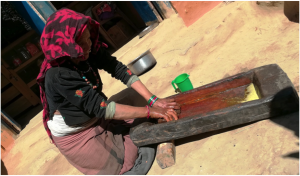 Known for historic rice cultivation that produces a rare species of red rice known as jumli marshi, Nepalis have long regarded Chhum as a source of pride and as a future site for eco-tourism due to its breathtaking nature. The Chhum Valley (often mis-spelled as the Tsum Valley by English speakers) is becoming a popular spot for eco-tourism in Nepal. Photo courtesy of ForestAction. Yet the rice cultivation has been dwindling, and one group of ecologically-minded activists and local scientists has set out to understand the changes. 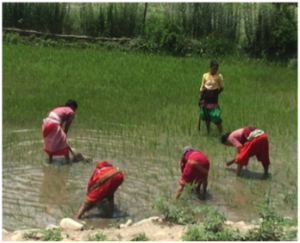 Women in Chhum Valley weeding a rice paddy. Photo courtesy of ForestAction. Established in 2000, Forest Action is a Nepal-based non-governmental organization focused on achieving productive, sustainable, and equitable forest management. In their research, ForestAction also found that due to the shifting costs of agricultural production, the cost of growing the jumli marshi rice had exceeded the income. Furthermore, the growing trend of migrating male wage earners had shifted the traditional gender roles situated in the practice of rice cultivation. A woman grinds red rice, or jumli , into flour in the Chhum Valley in Nepal. Photo courtesy of ForestAction. Working with the research community, civil society groups, and government agencies, ForestAction uses an interactive approach to policy research and dialogue that builds deliberative and collaborative processes of stakeholder engagement – focused on policy and practice that balances economic productivity, environmental sustainability, and social equity. ForestAction works widely on environmental issues and their main success has been in transforming Nepal’s forest governance and policy making environment. From what was once a traditional, top-down, state-centric approach, ForestAction has led to way towards a community-based governance system, supported by multi-stakeholder processes and evidence-based policy making. 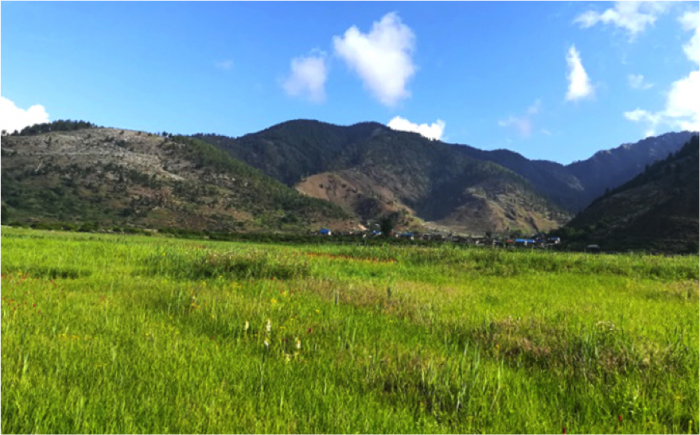 As a Thousand Currents catalyst partner, ForestAction will be focusing on the Chhum-Chaur Valley this year, with the goal of understanding the many barriers to long-term food security for local farmers. They are also factoring in climate change-induced hail, pressure to use GMO seeds, and the opportunities to increase gender equity in the villages that make up the area. ForestAction is eager to share these insights with other community development organizations in South Asia and beyond.